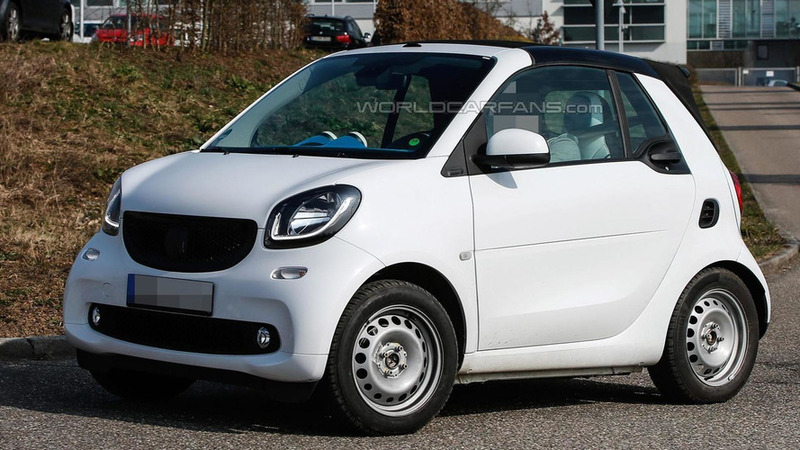 The hotter Smart ForTwo and ForFour prepared by Brabus have been caught on camera without any camouflage. 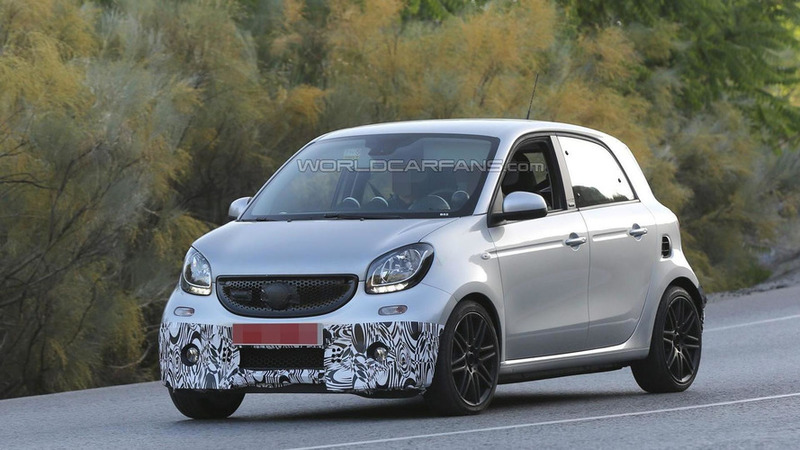 A thinly camouflaged 2016 Smart ForFour by Brabus was spotted testing in Spain ahead of a IAA debut. 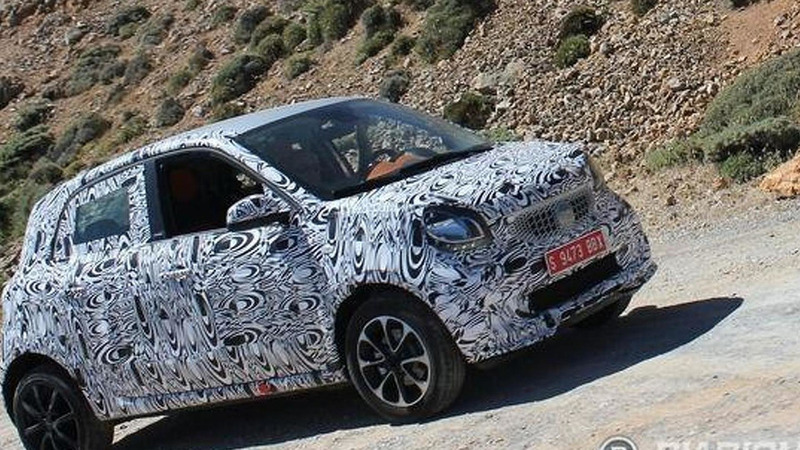 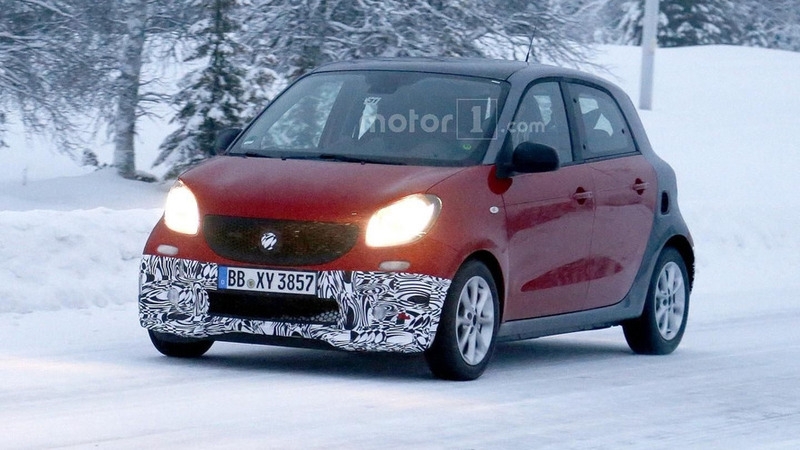 A lightly camouflaged Smart ForFour Brabus has been spied undergoing testing in Europe. 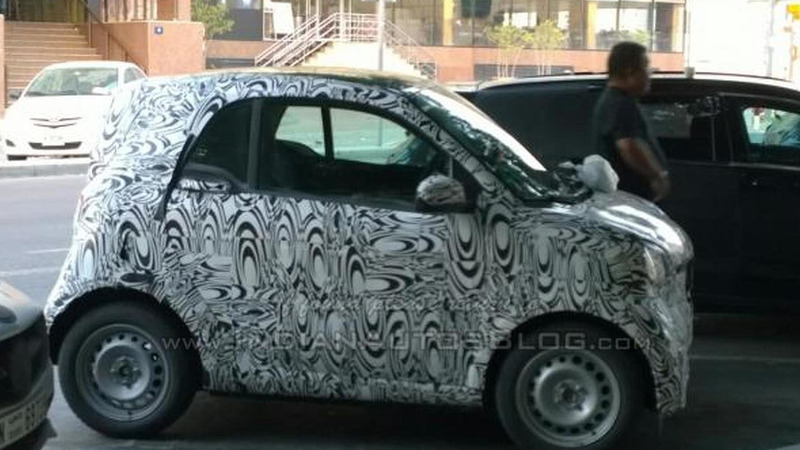 An undisguised black & white duo of Smart ForTwo Cabrio prototypes has been spotted up close during final testing. 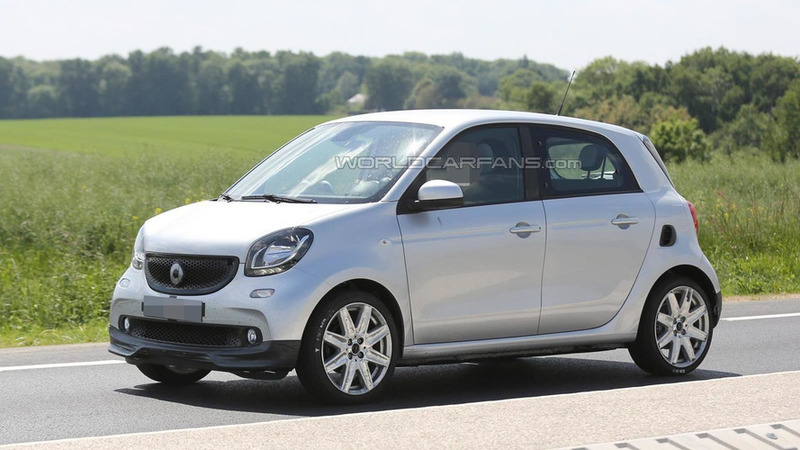 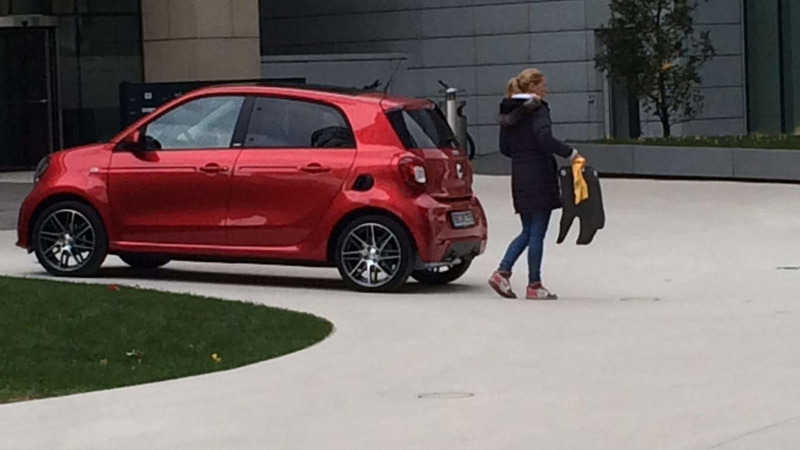 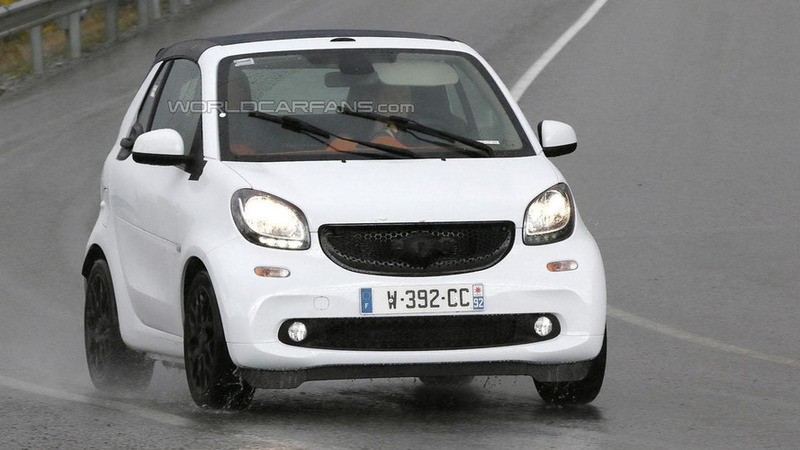 A prototype of the 2016 Smart ForFour by Brabus has been caught on camera for the first time. 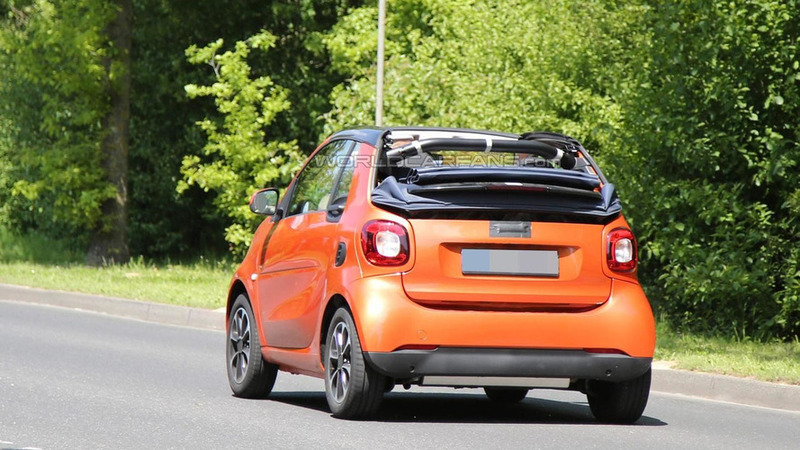 Our spy photographers have sent an additional batch of images with an undisguised prototype of the 2016 Smart ForTwo Cabrio. 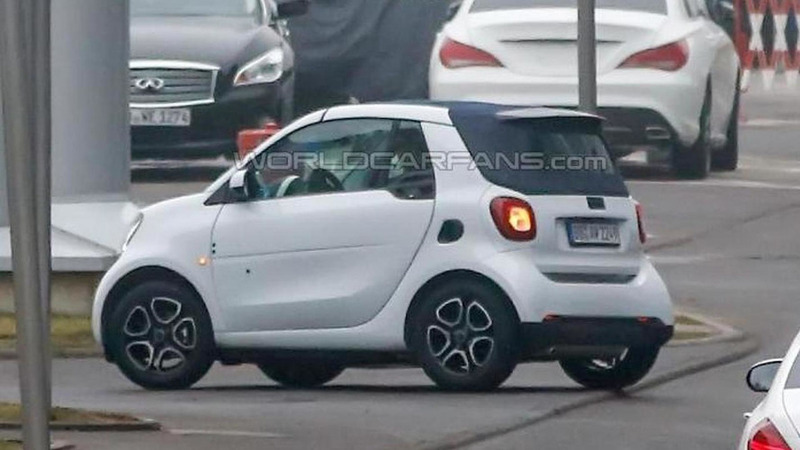 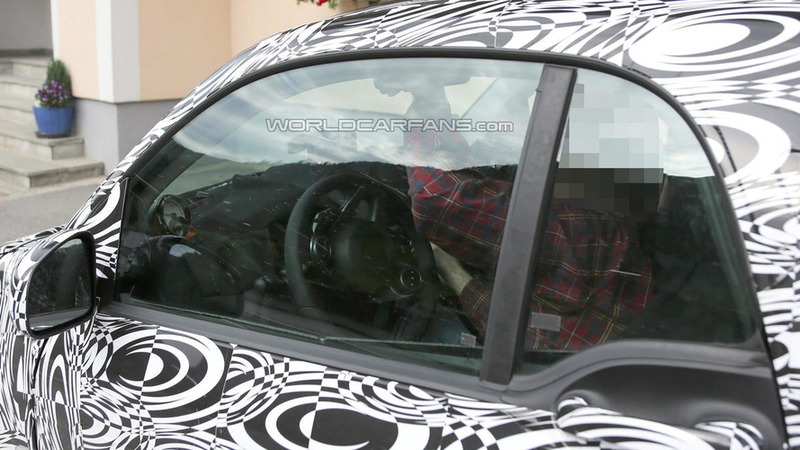 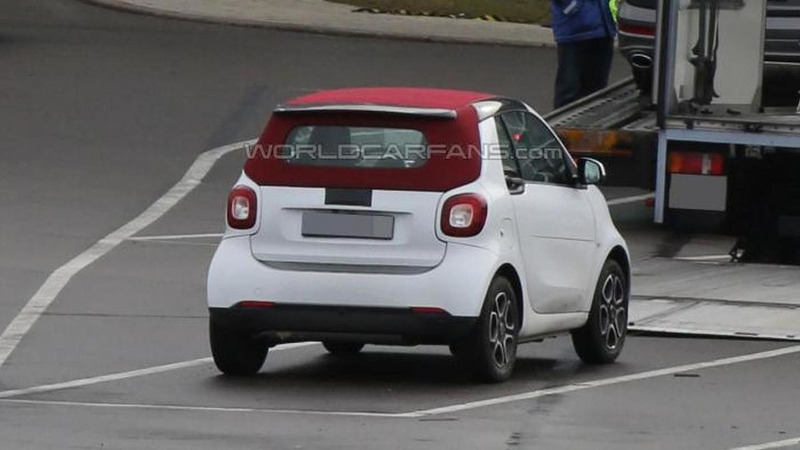 An undisguised prototype of the 2016 Smart ForTwo Cabrio has been spotted undergoing final testing in Stuttgart. 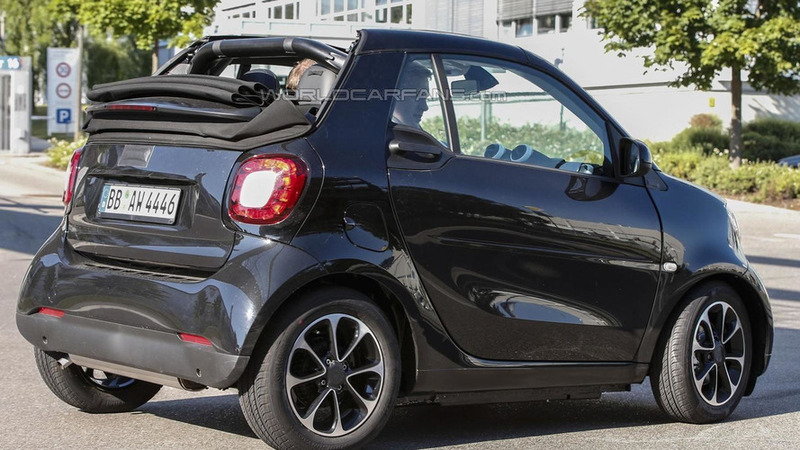 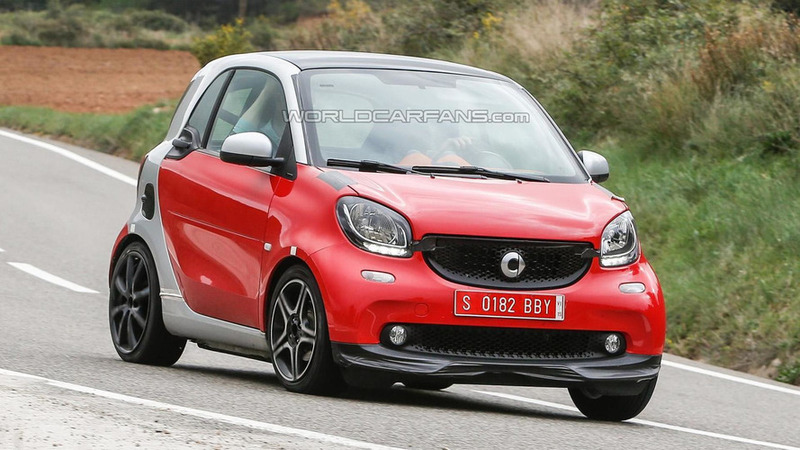 Our spies have sent us a second batch of images depicting the upcoming Smart ForTwo Cabrio. 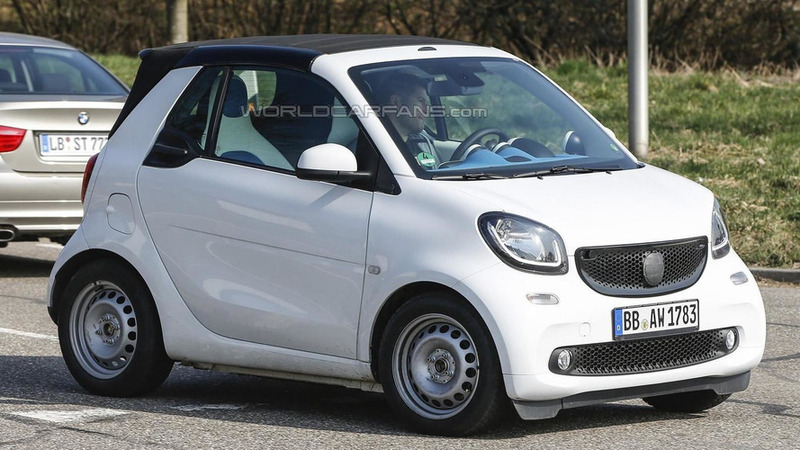 The Smart ForTwo Cabrio has been spied for the first time ahead of this year's expect reveal as a 2016MY. 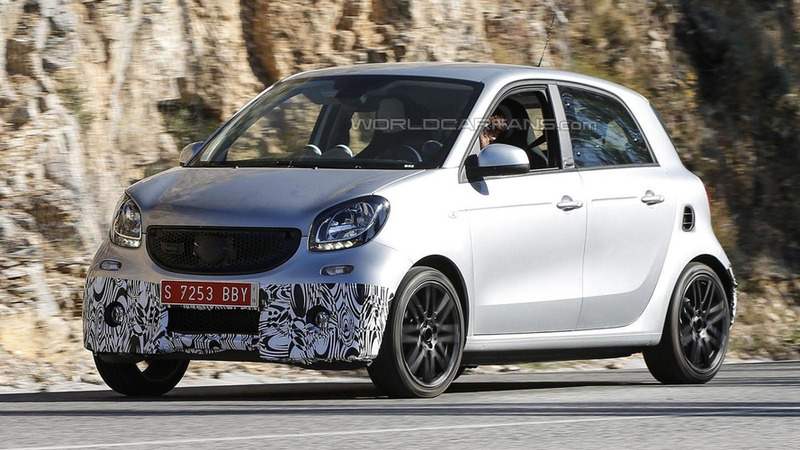 Prototypes of the Smart ForFour Brabus and Renault Twingo “GT” have been spied testing in Sierra Nevada, Spain. 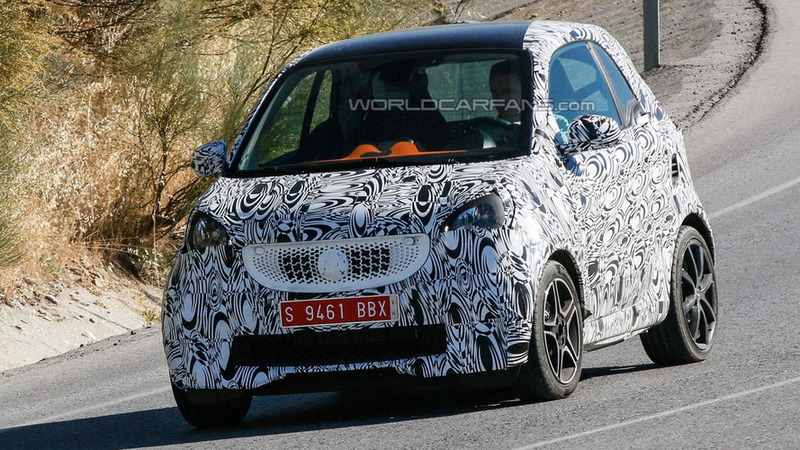 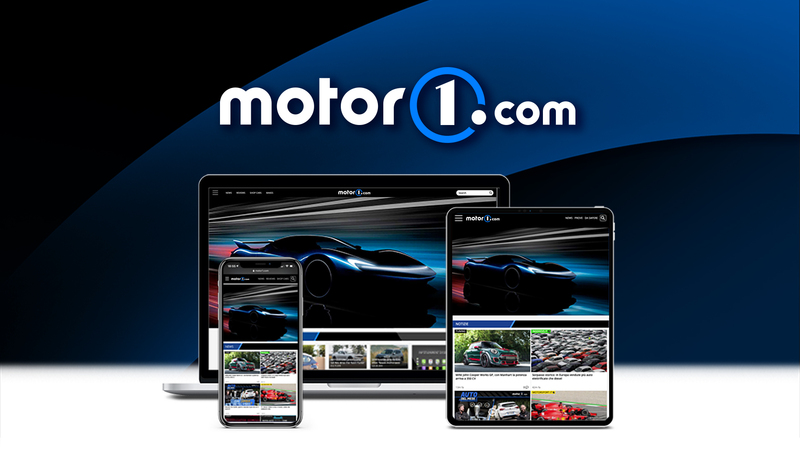 The all-new Smart ForTwo has returned in a fresh spy video before its official reveal scheduled for the second half of the year.